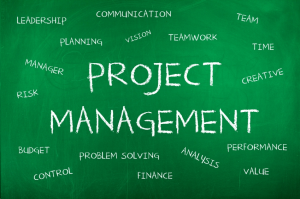 This course introduces the basic concepts and processes for successful project management. Explore proven best practices for defining, planning, organizing and executing a project. Examination of the project life cycle will highlight the need for a phased-approach to project work with stage-gate approvals to ensure strategic alignment and effective project governance. The learning materials and group exercises provide you with hands-on experience using the vocabulary, knowledge, and tools needed to properly define, plan, manage and successfully implement a project. Special emphasis is given to the crucial up-front effort to clearly define, in consultation with key stakeholders, the project scope, the project’s strategic value and expected results. Throughout the course, we’ll examine and apply widely recognized project management techniques, tools and templates! What is a Project & Project Characteristics?